Remember this art heist I shared back in March? A refresher: a package, labeled as a Christmas present worth €30, was shipped from Belgium to New Jersey with instructions to be transferred to a temperature-controlled art storage facility. 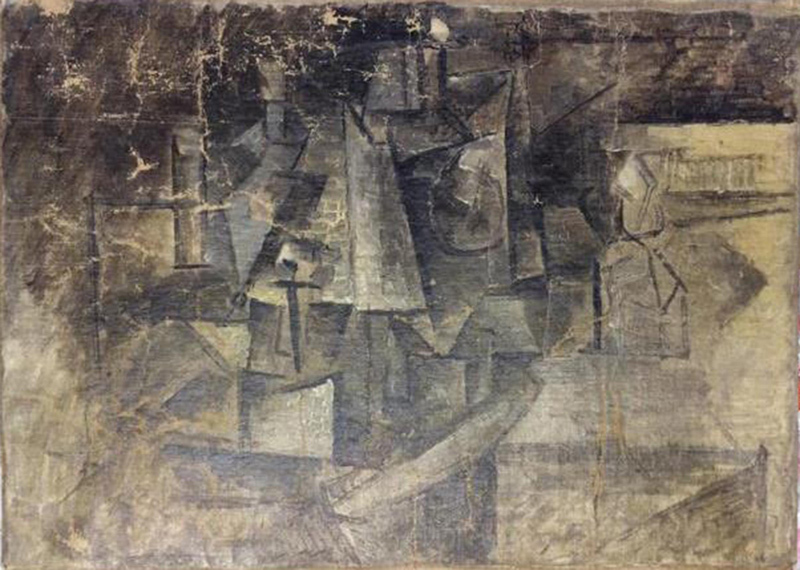 Tipped off by the incongruity of needing to store a “handicraft” in such a high tech environment, Customs Officials seized the package, only to discover it was a 1911 Picasso painting, titled “La Coiffeuse” (“The Hairdresser”) which the Centre Pompidou in Paris had reported as stolen in 2001. The Pompidou can’t nail down a firmer timeframe or suspect, because they only realized the painting was missing when a loan request came in for it and they couldn’t locate it in storage. Three words, guys: routine inventory checks! It’s uncertain if the painting will ever be put back on display at the museum (but here’s hoping!). You can read more about art heists here. August 19, 2015 / Art Heist / Comments Off on Art Heist: An Update!